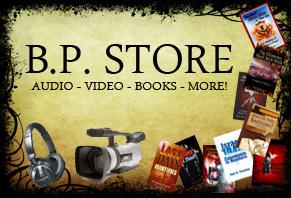 At the Bible Prophecy Store you’ll find plenty of books, audios, and videos from some of your favorite teachers and writers, especially those who hold to a preterist method of end-times’ interpretation. While our primary collection consists of material from Dr. Don K. Preston, you’ll find a variety of other teaching and instruction that should give you a wonderful mix of theological interests and bible study material, all right here at the B.P. Store!